This brand new pattern is on sale through 11/18! Grab your copy today before the price goes up! 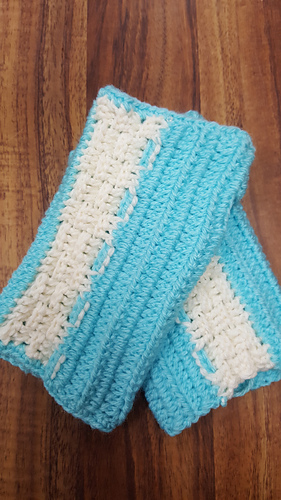 Brand new fingerless gloves pattern from Darcy’s Crochet Creations! These fingerless gloves are made with a lighter weight yarn so not only will they keep your hands warm but they won’t be super hot either! A great way to learn a different stitch and texture is amazing! Stitches used are the Extended Half Double Crochet and the Front and Back Post Double Crochet. Adult Small to Large makes this pattern great for almost everyone in your life!